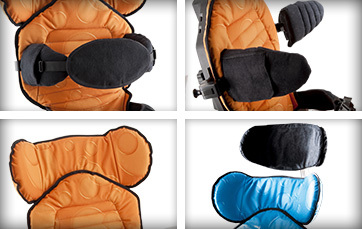 With its bright colors and clinical focus, Mygo has always been about fulfilling the postural and emotional needs of young children and their families. Mygo is able to help a broad range of kids to carry out everyday functions at home, in the classroom or even out and about. 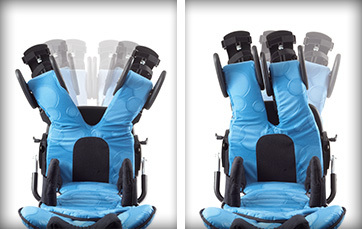 The adjustability of Mygo seating system provides clinicians with the tools to maximize pelvic stability, trunk and head alignment, and leg and foot positioning. 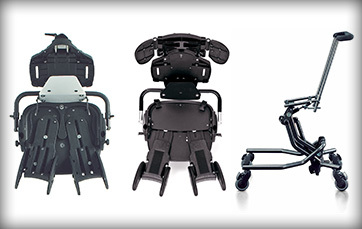 Mygo Seating is used with a hi-low chassis for everyday activities. 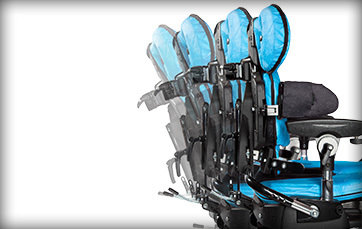 With a reinforced backrest with Dynamic option, seat base, and pelvic harness the Mygo Seat caters to kids with strong extensor patterns. Allen key screws are supplied as standard with anti-vibration washers to prevent loosening through continued use. The innovative Pelvic Cradle (Patent Pending) which is available for the Size 2 Mygo wraps around the buttocks and posterior of the pelvis for optimum proximal positioning. The contoured shoulder section extends the height of the backrest and facilitates shoulder protraction for better trunk alignment. 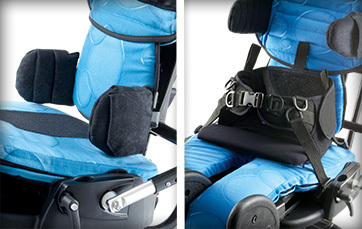 The upper leg supports can be adjusted independently and set up to accommodate leg length discrepancy, adduction, up to 30° abduction, or up to 10° windsweeping.